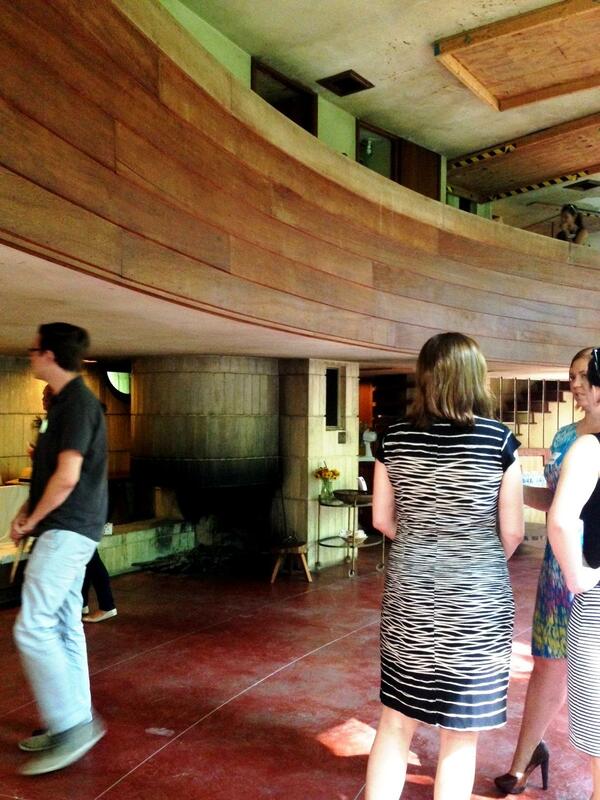 Visitors tour Spring House in June of 2014. 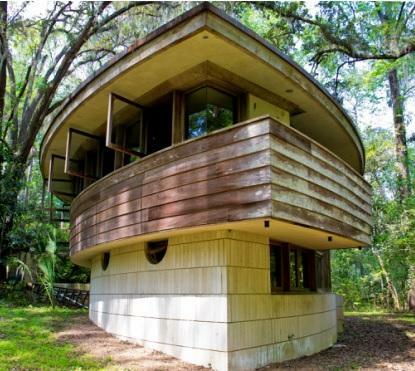 The group trying to buy Florida’s only Frank Lloyd Wright house aims to raise nearly $150,000 by Halloween. The Tallahassee group got a fundraising boost this summer when the home received a designation as one of the country’s “most endangered” historic properties. The June designation from the National Trust for Historic Preservation put a spotlight on Tallahassee’s Spring House, and money poured in…at first. “But, again, it’s not coming in fast enough right now for us to meet that goal of the matching funds," says Spring House Institute board member Frost Burke. He says the home just north of Interstate 10 is valued at just over $500,000. “Frank Lloyd Wright devotees would be willing to pay much more, but the owners are prepared to hold it for the Spring House Institute to allow us to purchase it for that amount so it can be developed for public use," he says. The nonprofit board has raised just over $100,000 so far. That’s about $70,000 shy of what it needs to qualify for the state’s largest matching grant. To try and entice donors through an IndieGoGo crowdfunding campaign, the institute is offering pieces of the home’s original glass panels as thank-you gifts. And for people in Tallahassee this weekend, $15 gets you a tour of Spring House between 2 p.m and 4 p.m. on Sunday. Tours continue the second Sunday of each month. Wright designed Spring House in the 1950s for Tallahassee civil rights activists Clifton and George Lewis. About 20 years ago, Clifton Lewis created the Spring House Institute in hopes of ensuring the home’s preservation as a public cultural center. It is located at 3117 Okeeheepkee Road off of North Monroe Street. 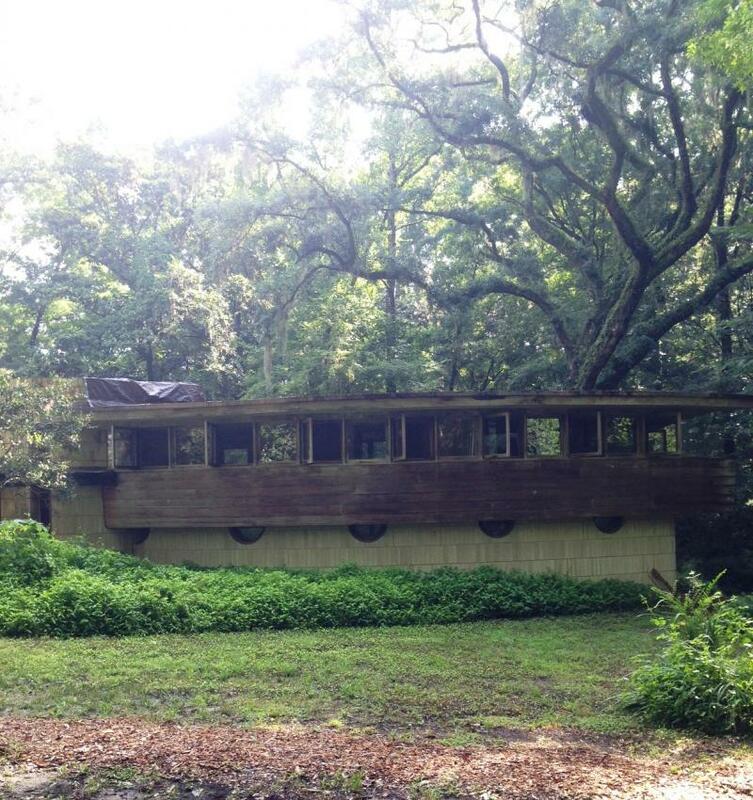 A Tallahassee home built by American architect Frank Lloyd Wright has been named one of the country’s "most endangered" historic places. A local group welcomes the designation as it tries to raise money for the home’s renovation. This weekend would have been the 147th birthday of American architect Frank Lloyd Wright. The Tallahassee community is invited to a birthday party that’s also a fundraiser for restoring a local house he designed. Spring House, as it’s called, is thought to be the only private residence the famous architect built in Florida. A group called the Spring House Institute hopes to buy it and restore it as a cultural and event center. On Wright’s birthday, Sunday, June 8, the house at 3117 Okeeheepkee Road will open from 1 p.m. to 4 p.m. for the celebration.